Uduk Hope, Inc. doesn’t look at the refugee crisis in South Sudan and shrink away from a challenge. 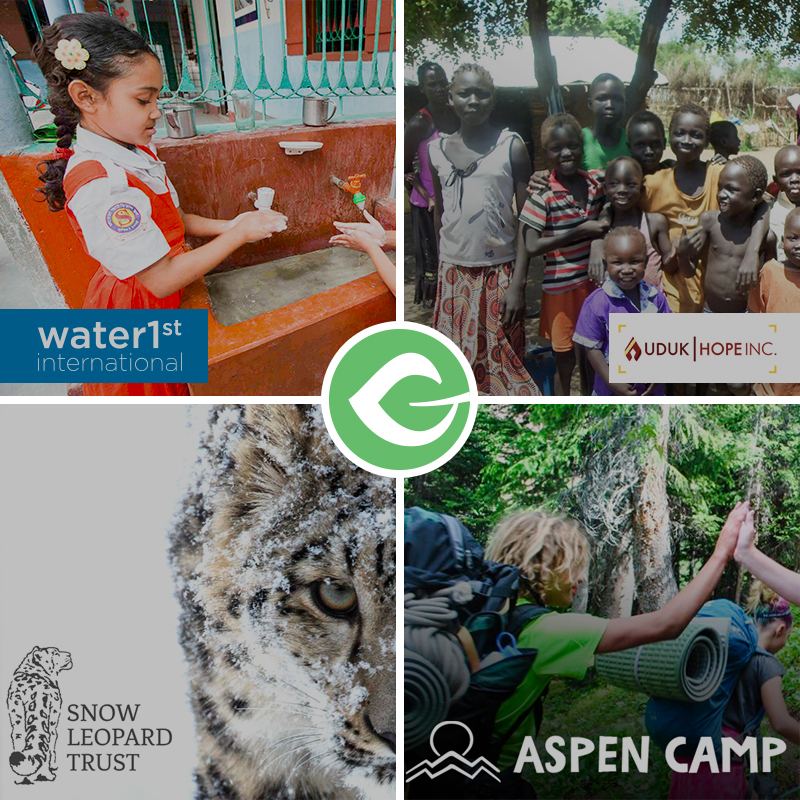 They are using Give to raise funds and are making a difference now while laying infrastructure in place for long-term change. 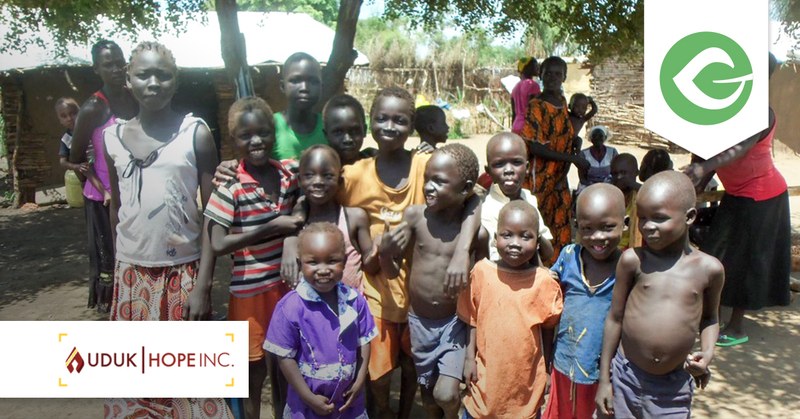 Uduk Hope, Inc. exists to serve the Uduk people who have been driven from their home to South Sudan and have been surviving in refugee camps. The UNHCR helps with food provisions but it is only enough for three weeks and that monthly stipend has to last for the entire month. Unfortunately, the children who do attend school do not receive lunch there or have enough food to bring lunch. Children skip school to steal food. They steal because they are hungry. Without education or food to support those children, there is no hope for any kind of future. Uduk Hope raises money for many reasons but a primary mission is to provide lunches at school so the refugee students can stay at school. Because they’ve received nutrition and calories, they can better concentrate on their education. Uduk Hope also aims to provide scholarships for college education. As the entire community is cared for, “the whole thing cycles up,” as volunteer web developer Michelle Ames told us. UNHCR has a video that talks about the refugee crisis here. Michelle Ames, A WordPress expert, MBA, and small business owner is a marketer at heart. But she also has a heart. Every year, she gives away her expertise to a cause in need. The UDUK people were her calling and she delivered. Michelle believes that the donation form should be easy to find on the website. And she also believes donors should not have to leave the website to donate. Because of this, she has placed donation buttons throughout the home page and on nearly every page on the form. 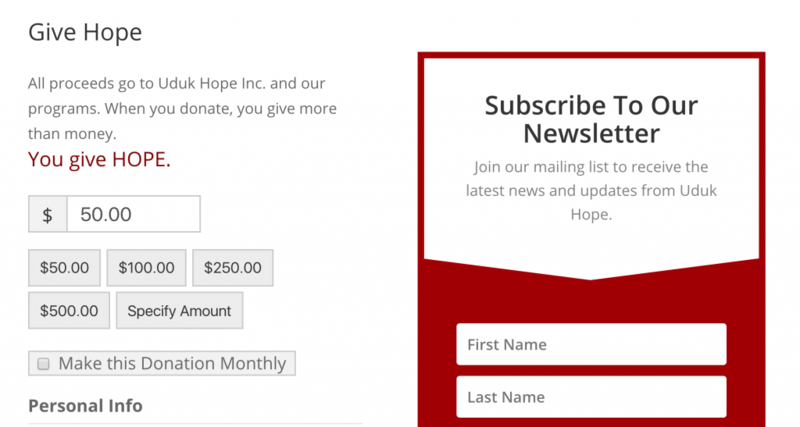 Uduk Hope, Inc. is also using our recurring donations Add-on, which helps tremendously with ongoing donations. Uduk Hope, Inc. is helping in several ways: providing school lunches, scholarships to higher education, and Bible translations to help spread God’s Word. Check out their donation form here and consider donating to this cause. “In 2017 your donations will go to our Food in Elementary Schools program in Doro Refugee Camp, South Sudan. This is a program that we started last year that can be expanded. We are also intending to start a scholarship program in Ethiopia that will see college-ready refugee students attend a four year college. By putting Uduk and other refugee students in college, we empower them to make a better tomorrow for their communities.” Uduk Hope, Inc.